DIY V-Day/White Day Chocolates with your kiddos! As a mother of two little ones, the romantic aspect of Valentine's Day has made way for more family-oriented events and expressions of appreciation and love. 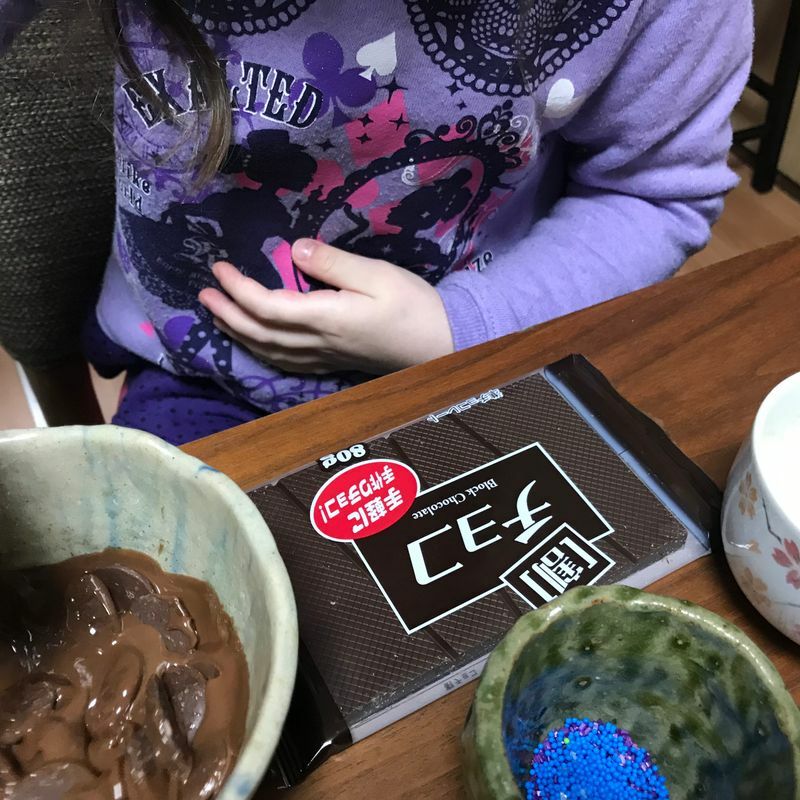 One thing that I've found super easy to do with toddler-aged kids is making your own chocolates! 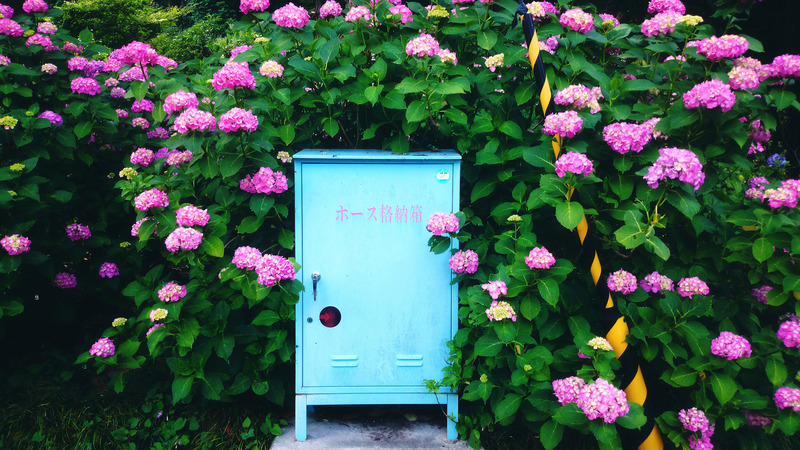 It's also very cost effective, with all the supplies we needed available at our local Daiso. 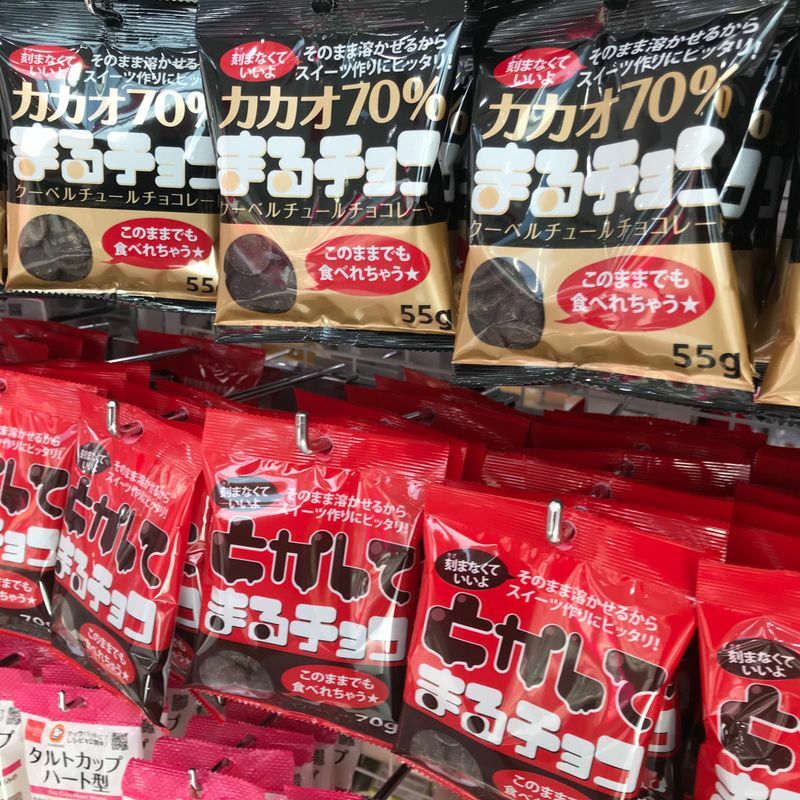 I'm sure if you have another 100 yen store chain closer to you that you'll find the same is true there! 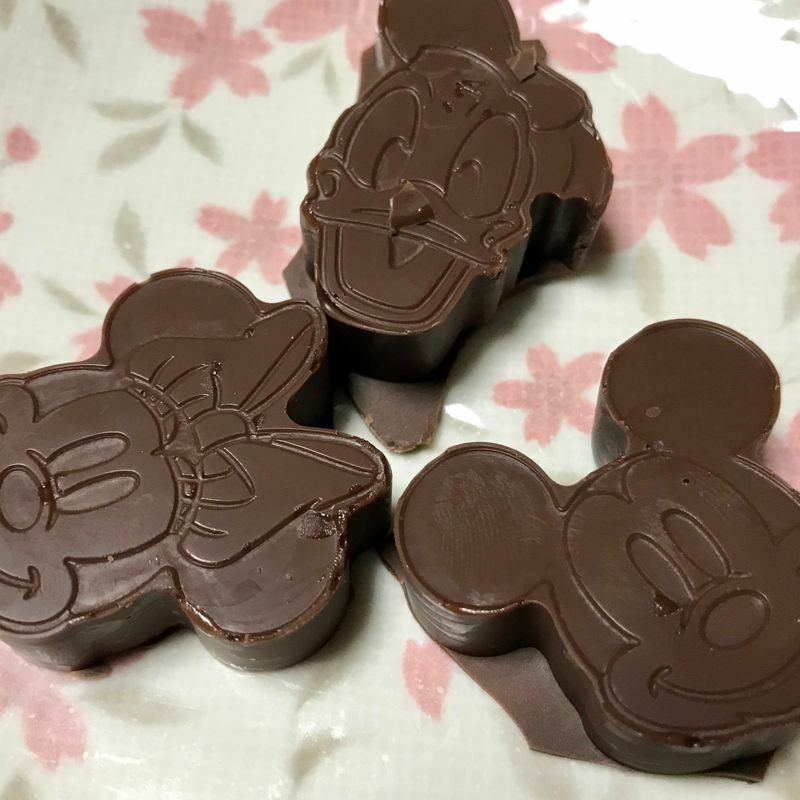 A small chocolate mold (there are loads of cute ones at Daiso, including cats and teddies, but we opted for the Disney ones since my kids are all about Disney characters right now). Chocolate buttons or a chocolate block to melt up. Feel free to go wild if you want and get white chocolate and milk/dark chocolate to go all creative and swirly! Sprinkles or whatever other items you want to pop inside the chocolates to "snazzify" them. 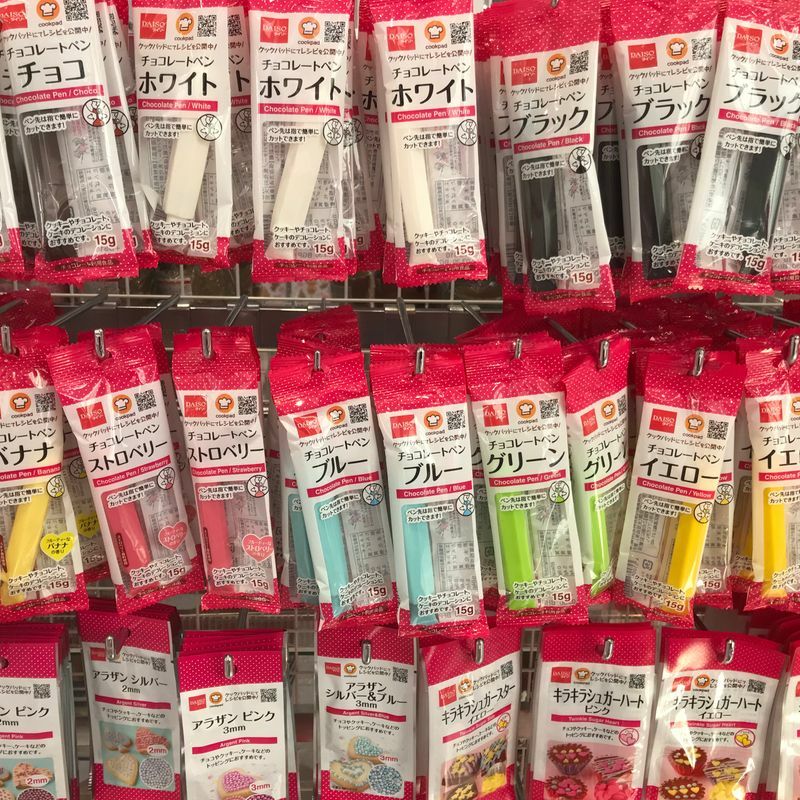 We already had sprinkles at home, but again, there's no shortage of decorative stuff at Daiso. This really couldn't be easier so barely warrants a tutorial, but go ahead and melt the chocolate down. We just did this in our microwave, but you could go the stove top route too! Just be sure to go slowly with your microwaving increments so you don't end up with a burned waste of chocolate. Grab a spoon and mix that stuff around to get rid of any lumps and bumps. Once your chocolate is melted to a nice smooth consistency, spoon it in! My eldest is just four, and had fun with this part. We added some colored sprinkles to the insides, which made it like "crunch" chocolate with some extra fun and pizazz! I imagine they'd also be good with stuff like crushed up cornflakes or rice cereal inside. 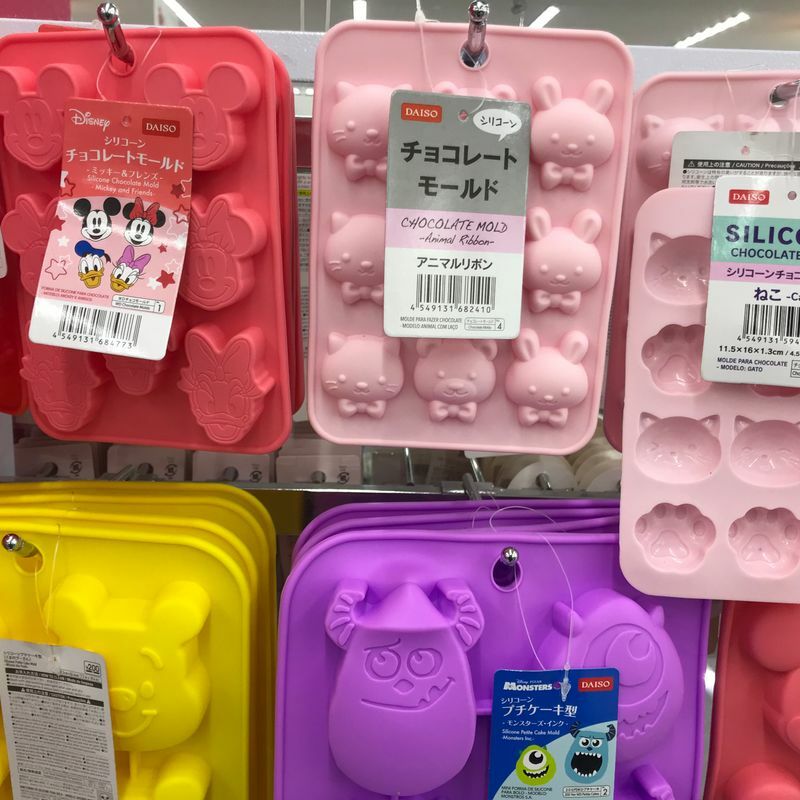 Once you've filled all the spots on the mold, place the silicone mold on a plate and pop it in the fridge to set. 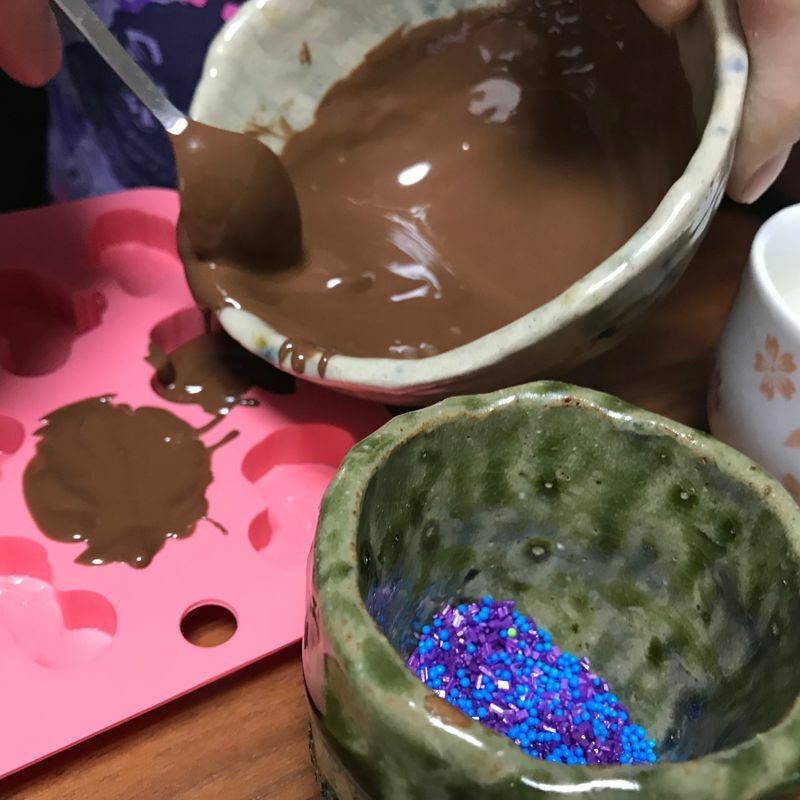 Before you know it you'll have some adorable chocolates that your kids can proudly say they made themselves!